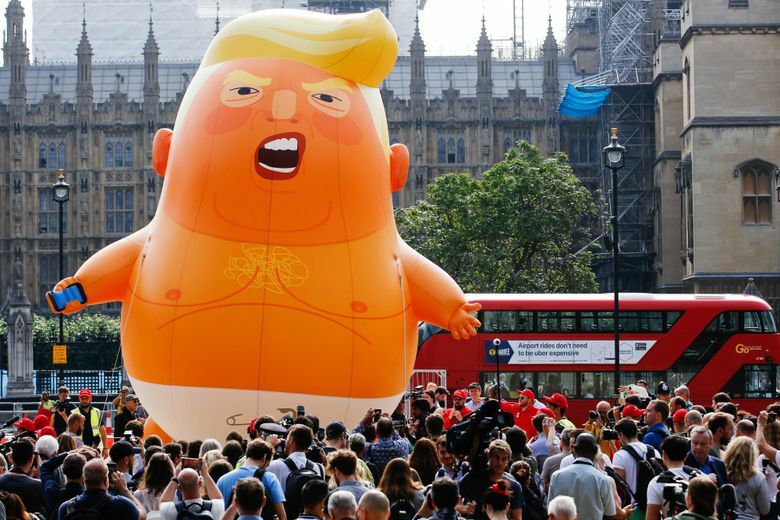 The 20-foot blimp depicting an orange, angry, diaper-wearing Donald Trump as a baby has become the symbol of the large-scale protests that have met the U.S. president during his visit to the United Kingdom. But the 20-foot blimp depicting an orange, angry, diaper-wearing Donald Trump as a baby has become the symbol of the large-scale protests that have met the U.S. president during his visit to the United Kingdom. “It’s hilarious, and that’s good – it’s good to put a smile on people’s faces in these troubling times,” said Murray, the brains behind the blimp protest. 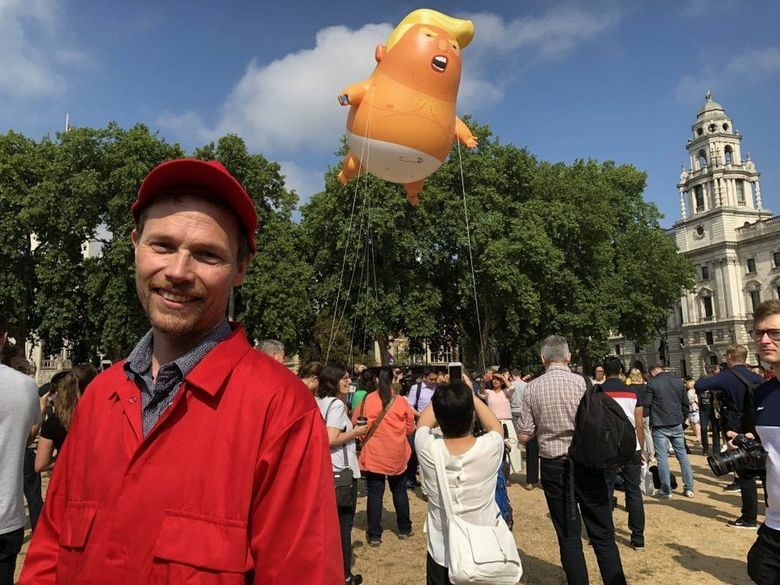 In an interview with the Sun newspaper, conducted earlier in the week, Trump acknowledged the balloon, saying that protests like this one in the British capital made him feel unwelcome. London Mayor Sadiq Khan, a Twitter foe of Trump’s, defended his decision to allow the balloon to fly near Parliament. He told the BBC on Friday that as long as protests were safe and peaceful, it wasn’t his job to “censure” or decide what’s in good or bad taste. “We had this idea, got some sketches, thought this is funny, and called our friend Matt, a graphic designer. And we found it funnier every step of the way. Every time we looked at the picture we were laughing, so we could sense we were onto something,” he said. The image features an angry, orange likeness of a Donald Trump-looking baby wearing a diaper. The figure is also clutching a cellphone that has the Twitter app open. In April, when Trump’s first official visit to the U.K. was announced, Murray started planning. After crowdfunding and an online petition, he and his mates finally got approval for the blimp to fly. But despite his previous campaigns, he said he has never seen this level of attention.